A father is accused of assault with a radioactive substance. To go forward with a criminal case, investigators need to know what substance was used. Students will study radiation, radioactive decay, and half-life to determine what radioactive substance was used. 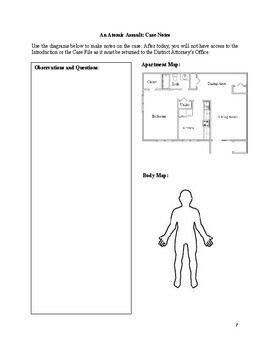 - Case Notes and Analysis: A place for students to record observations about the case, summarize learning, and to apply new information to the case. - Case Research Part I: Students read case studies and explanatory text about alpha decay. 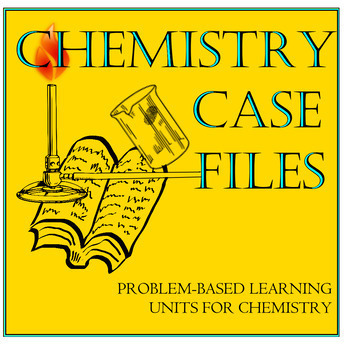 - Case Research Part II: Students read case studies and explanatory text about beta decay. - Case Research Part III: Students read case studies and explanatory text about gamma radiation. - Case Research Part IV: Students read case studies and explanatory text about half-life. - Case Summary: Students summarize their conclusions. 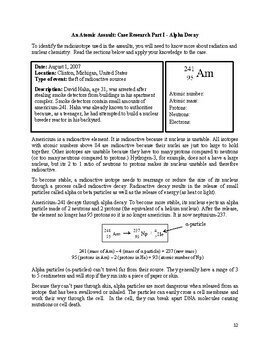 - Practice Worksheet: Student worksheet to review writing nuclear equations and types of radiation. 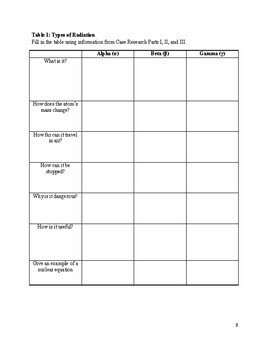 - Teacher Notes: Additional notes for teachers and answer keys.